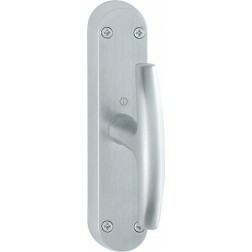 Interior door handle on plate Hoppe model Tokyo. 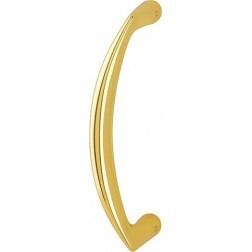 Door handle on plate with 239 mm length. 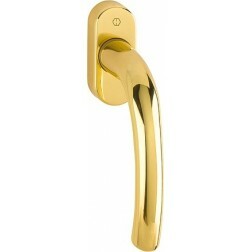 The construction material is brass, while the return springs are made of steel for extended life up to 10 years. 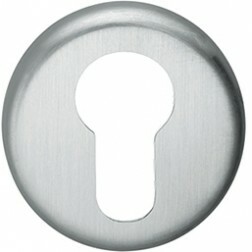 The finish satin chrome F41-R(Resista) boasts a surface guarantee for 10 years. 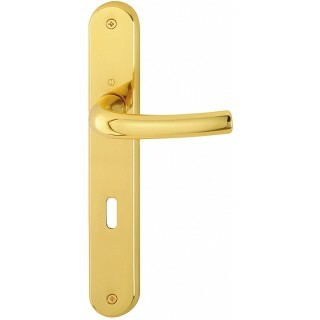 This special coating applied on the brass makes it immune from atmospheric agents and from normal erosion of the time. You can easily install these handles exploiting the quick-fit connection integrated on the handles. You need a simple screwdriver to complete the installation.